Just three days after Arjen Robben missed a penalty kick that might have won the Champions League final for Bayern Munich, his club hosted his national team -- the Netherlands -- for a friendly in the same stadium that housed his nightmare. 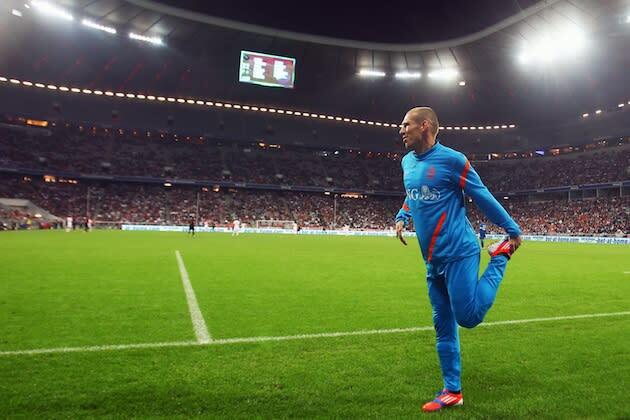 And though some of the 33,000 fans in attendance at the Allianz Arena were forgiving, others booed Robben's every touch of the ball after he entered the match as a second half substitute for the Netherlands, who lost 3-2. "It's a disgrace. When you look at what Robben has achieved in his career. He led Bayern to the final at Madrid and is so important to the club. Bayern should be really happy to have a player like him," the veteran told SBS6 after the match. 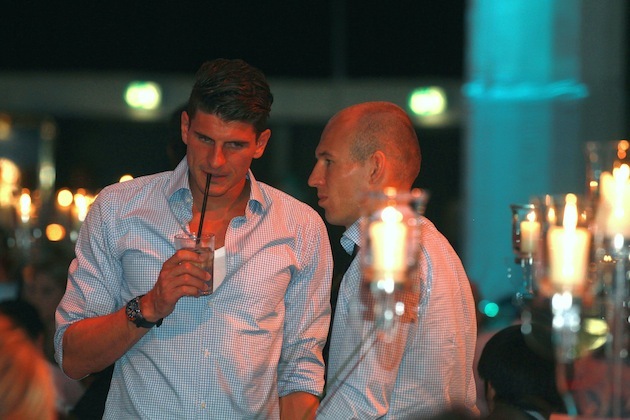 "Arjen has signed a new three-year contract but if I was him I would think twice about my future. 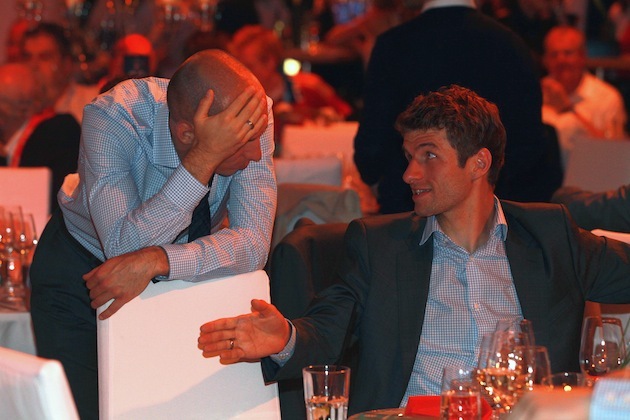 I don't know what Arjen will do, but I would think about leaving the club if I was him. "Nobody from the club supports him, I'm the only one that supports him in the press. Mentally he is very strong. Everytime something bad happens to him, he comes back stronger." "Bayern Munich should be ashamed," Rafael van der Vaart told Bild, echoing Van Bommel's sentiment. "We expected no such thing. It's embarrassing." The match was organised to compensate the Bavarians after their Dutch winger Arjen Robben aggravated an injury playing for the Netherlands at the 2010 World Cup. Bayern complained angrily at the time that Robben should not have played and he missed several months of the following season. But the timing of the match could not have turned out worse for Bayern, coming hot on the heels of Saturday's defeat.